In addition to the home games against Beith on March 3rd and Hurlford Utd on March 10th, two further league games have now been scheduled for the ‘lok in March. On March 17th we will make the trip to Dunterlie Park in Barrhead to face Arthurlie whilst on March 24th we will welcome Kirkintilloch Rob Roy to Newlandsfield. All games kick off at 2pm. Our postponed Scottish Cup tie against Rossvale will take place this Saturday (27/1) at Petershill Park with a 1:45pm kick off. Due to this, our home league match against Hurlford Utd has been rescheduled for March 10th. The March fixtures are beginning to take shape and we’ll start the month with two home games. On March 3rd, we play Beith and then the aforementioned Hurford on March 10th. After last weeks flurry of new fixtures for January, the club can confirm that we will finish up the first month of 2018 with a home match against Hurlford United in the league. The Hurlford fixture follows a home match against Arthurlie on January 6th before we hit the road to play Clydebank on the 13th and then Rossvale in the Scottish Junior Cup on the 20th. We look forward to seeing you at Newlandsfield next year! Due to an issue at the pavillion, today’s game will be unable to go ahead. The home league fixture versus Clydebank has now been reinstated following the postponement of the sectional cup final. The game will now go ahead as originally planned at Newlandsfield on Saturday October 7th, with a 2pm kick off. Preceding that match, the ‘lok face Hurlford United at home this weekend (23rd Sept) before we travel to New Cumnock next Saturday (30th) to face last seasons double winners, Glenafton. All the forthcoming fixture details can be found here. 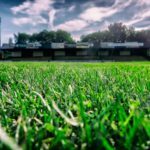 It is now confirmed that due to Pollok receiving a bye in the Scottish Junior Cup 1st Round, that we will host Hurlford United at Newlandsfield on Saturday 23rd September (KO 2pm) in the McBookie.com West Superleague.